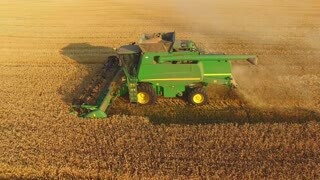 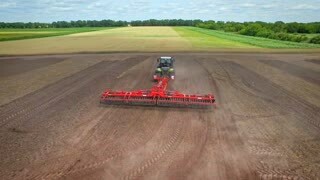 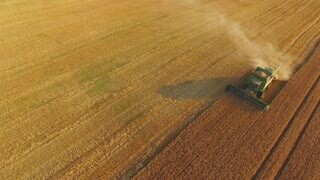 View of combine from air. 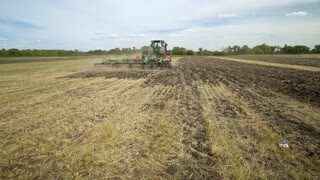 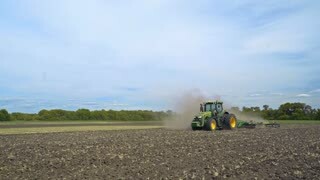 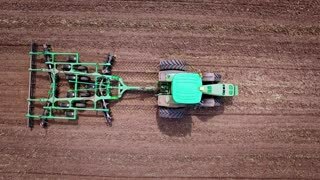 Green harvester on the field. 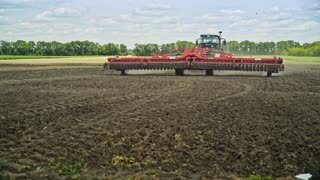 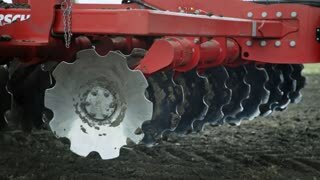 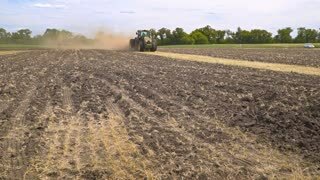 Durable agricultural machinery.